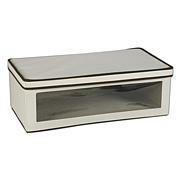 Get it together in style with this Household Essentials Vision Storage Box Set. 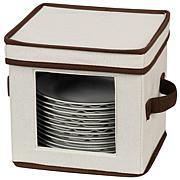 The Natural-Canvas color is an easy-neutral that blends well with most decor and works for men and women. 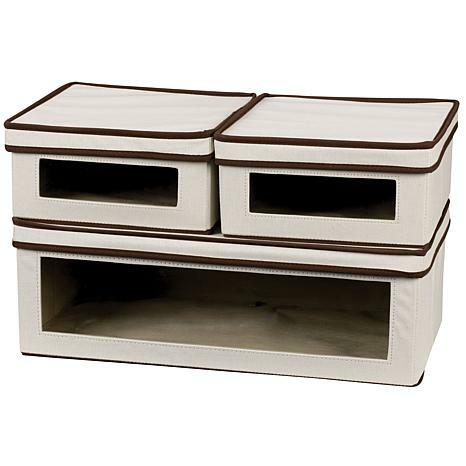 The 3-piece set offers plenty of versatility - use the boxes together or in different rooms. 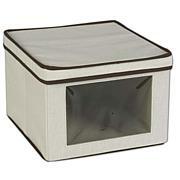 This storage boxes are excellent and very attractive if you have to put in a corner stacked in bedroom. Love them and they came in very handy. I am going to order more for my mom. 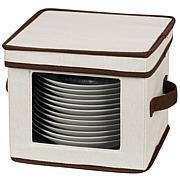 I purchased 2 of these sets to organize and protect my sweaters. I've found them to be perfect for this purpose. They neatly store my folded sweaters, stack up to 3 high with ease, and the windows allow me to see the exact contents much more efficiently than generalized labels. I'll likely purchase another 2-3 sets to organize sweats and tees. I was looking for Joy's boxes. But she does not sale them separate. So, I bought these. When they came they were easy to put together and they look just as nice in the closet. I liked them. Ordered 4 sets. Buyer beware, description states 1 Jumbo,2 MEDIUM, specs for MED. However, you get 1 Jumbo,2 SMALL. Check specs for individual SM v MED boxes... you get 2 SMALL in this set despite description & specs for MED. I would not have ordered these sets for the SM, I ordered sets for the MED. HSN, please get your shipments, descriptions accurate. With every order I lose more confidence in HSN. Separate issue... last vitamins shipped had manufacture date of 3 years ago... oh, my.